A ​visual demonstration of the neighborhood's spirit of inclusiveness and support for the LGBTQIA+ community. We have raised $25,000 to cover the cost of installing permanent thermoplastic pavement markers in a rainbow of colors on two crosswalks along Broadway in Denver. ​​Any donations above $25,000 will be put into a maintenance fund to keep our rainbow bright! The Broadway Rainbow Crosswalk are located at the intersection of Broadway and W Irvington Pl just outside of the Buffalo Exchange. The crosswalk is installed using thermoplastic materials to create a permanent installation. Thermoplastic is a pavement marking material that is a 100% solid, environmentally and user safe compound. A mixture of glass beads, pigments, binder, and filler materials, thermoplastic, as its name suggests, becomes liquid when heat is applied. As opposed to paint, thermoplastic will be able to withstand the daily wear and tear of Broadway traffic. Our goal was to reach $25,000 by May 2018 so that the crosswalk could be ready for Denver PrideFest. We smashed that goal and the crosswalk is installed! 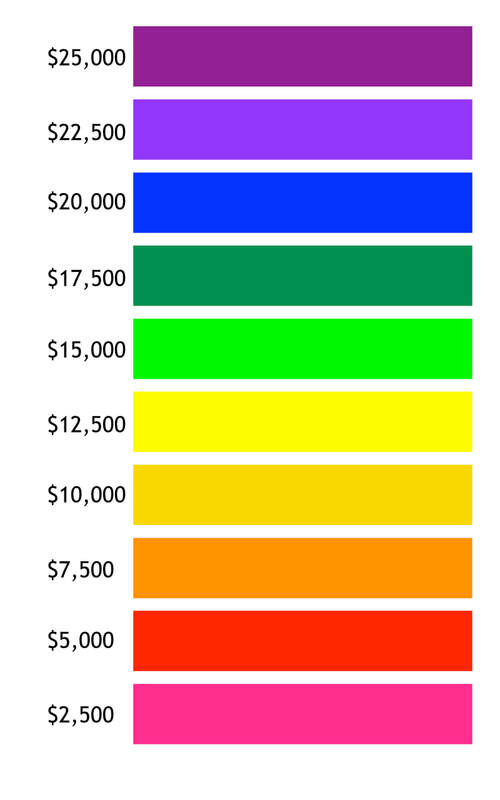 Any donations above $25,000 will be put into a maintenance fund to keep our rainbow bright! Thank you to those who have ​donated to the cause!